When your latest high-priority process design project gets into full swing, several objectives must be met. Product yields must hit high levels. Product quality must provide a competitive advantage. You must minimize process cycle times, whether batch or continuous, to improve overall throughput. Last, but hardly least, you must control product costs to ensure acceptable profit margins. The first line of defense in cost control usually is raw materials, since they often represent the largest component of total cost. System automation also is a strong cost-controlling element and can contribute to rapid recipe changeover, better accuracy and subsequently improved equipment usage. Energy consumption also can be a significant part of the total cost. However, more often than not, it is considered in the context of steam generation, compressed air production and heat-transfer requirements. Energy should not be treated as an expense, but as a raw material that can be managed. With wise management and the addition of premium-efficient motors, your processing plant's uptime also might be improved. As you analyze every cost element, it makes sense to evaluate a frequently overlooked source of inefficiency: the electric motors driving the process equipment. 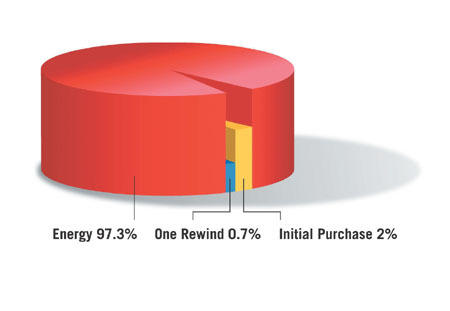 The cost impact of electric motors includes much more than initial purchase or rewind price. You should evaluate the purchase of electric motors and VFDs on life-cycle cost," not initial purchase price. In today's competitive market, chemical processors are concerned about eliminating downtime, but also recognize the need to operate motors using the least amount of energy. Now is the time to consider investing in motors and VFDs upgrades. Total operating energy costs over the lifetime of an electric motor dwarf the original purchase cost. It comes as a surprise to many users that the initial purchase price of an electric motor generally is only 2 percent to 4 percent of its lifetime operating cost (Fig. 1). Many equipment manufacturers sell in a very competitive market and often do not or cannot differentiate equipment by cost of operation. Purchase price usually is the only issue. Higher-efficiency motors and VFDs would add value to the equipment and ensure lower operating costs over the equipment's life. According to a 1998 study by the U.S. Department of Energy, the typical life of an AC motor is 28 years. When a company considers life-cycle costs, it often looks no further than a return on invested capital for the motor. Most companies seek a 2-3 year payback. With motors lasting far longer, they continue to save money throughout the operating lifetime. The National Electrical Manufacturers Association (NEMA) first made a distinction between standard and energy-efficient motors in September 1990. The "energy-efficient" motor efficiencies later became standards for the Energy Policy Act of 1994 (EPAct). In October 1997, EPAct took effect, mandating minimum efficiency levels for general-purpose totally enclosed, fan-cooled (TEFC) or open drip-proof (ODP) 1 horsepower (hp) - 200 hp (0.75 kilowatt [kW] - 150 kW) two-, four-, six- and eight-pole foot-mounted motors. The act requires any EPAct motor sold in the United States to comply with minimum nominal efficiency, testing and labeling standards. EPAct does not cover special-purpose motors such as footless motors with C-faces, pump mountings or other non-standard mountings. In 1996, the Consortium for Energy Efficiency (CEE) established premium-efficiency guidelines, used by many utilities for rebate programs. In mid-2001, NEMA and CEE harmonized their efficiency standards, establishing NEMA Premium efficiency standards for ODP and TEFC 1 hp - 500 hp (0.75 kW - 370 kW) two-, four- and six-pole motors in low and medium voltage. The NEMA Premium standard first defined in NEMA MG1-1998, Rev. 2 does not differentiate between mounting configurations, and covers all types of motors. Operating as low as 75 percent of full load will not degrade motor efficiency. The No. 1 failure mode for electric motors is the bearing system. Ideally, motors that comply with the IEEE 841 standard will provide additional protection, resulting in reduced downtime without the need for the specifier to write a custom proprietary motor specification. By specifying a motor that complies with this standard (IEEE 841-2001 Standard for Petroleum and Chemical Industry ," Severe Duty Totally Enclosed Fan-Cooled (TEFC) Squirrel Cage Induction Motors ," Up to and Including 370 kW [500 hp]) the user gets a motor available from stock, designed and manufactured to a proven standard. The user could even upgrade the IEEE 841-2001 motor by specifying a motor with NEMA Premium efficiency, resulting in lower operating costs. IEEE 841 covers 1 hp- 500 hp (0.75 kW - 370 kW) TEFC two-, four-, six- and eight-pole motors. With the adoption of IEEE 841-2001, minimum nominal efficiency was set up slightly better than EPAct. The previous 841 (1994) standard was set at EPAct levels. The nominal efficiencies of motors from most manufacturers comply with NEMA Premium. It is expected that the NEMA Premium efficiency levels will be the new minimums for the next revision of IEEE 841. Cast-iron frames are more rigid and their bases are machined flatter than NEMA alternatives, resulting in easier alignment, lower vibration and longer bearing life than a steel band motor with a weld-on base. Cast housings have cooling fins and generally dissipate heat more effectively than steel band motors. IEEE 841 motors include extra corrosion proofing, features such as epoxy paint, neoprene gaskets, grease fittings and reliefs, and corrosion-resistant hardware to extend their life. Winding insulation systems are designed to withstand the voltage spikes of pulse-width modulated (PWM) VFDs commonly used in pump and fan applications. Test data are supplied with that motor, including measurement of winding resistance, no-load readings of current, power and nominal speed at rated voltage and frequency, mechanical vibration check and high-potential test of the winding for each motor. Bearing isolators often are used on motors when additional protection from dust, liquids and slurries is needed. As these isolators rotate, they expel liquids and keep them from entering the bearing cavities. A labyrinth device normally affords optimal protection whether the motor is stationary or running. Most motor manufacturers install labyrinth seals on the output shaft of IEEE 841-compliant motors, and several manufacturers install them on the fan end as well. Bearing failures result from improper lubrication. Often, too much or too little grease is used, or greases are not compatible with each other. Contamination is another leading cause of bearing failures. 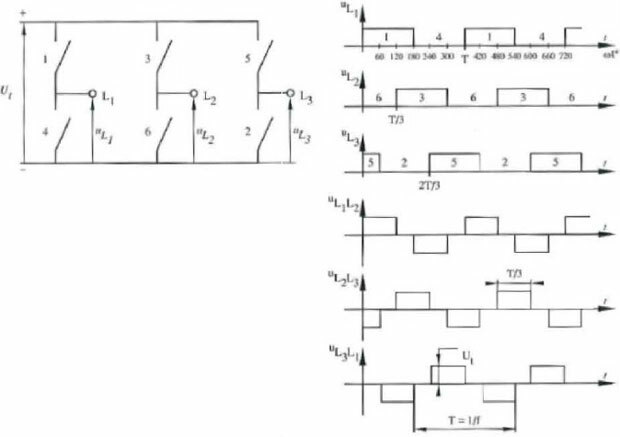 Bearing fluting problems from conduction of electrical current have also led to failure, particularly in motors with PWM VFDs. Electric motor-driven industrial equipment consumes 63 percent of the energy used in U.S. industry, according to the 1998 DOE report. This energy consumption could be reduced by as much as 18 percent if companies were to adopt "proven efficiency technologies and practices." Much of the savings would come from installing new premium-efficient motors in place of older, less-efficient designs. If you were to survey motors used in U.S. industry today, according to DOE data, only about 10 percent would be found to comply with the minimum efficiency levels mandated by the EPAct. Motors with significantly higher efficiency levels are available for even more energy savings. These high efficiency motors are built to comply with the NEMA Premium efficiency standard as defined in NEMA MG1 part 12.60. Besides reducing energy costs, these motors offer many additional benefits. Even though IEEE 841-2001 does not specify that motors be built to NEMA Premium efficiency levels, many manufacturers build 841 motors to NEMA standards. NEMA Premium efficiencies are specified for two-, four-, and six-pole low-voltage (<600 volts) motors 1 hp - 500 hp, and also for medium voltage (5,000 volts or less) motors 250 hp - 500 hp. Premium-efficient motors are more efficient at full load because of reduced internal losses. Even greater efficiency can be attained when machinery is operated at less than full load. Almost all of the additional benefits are the result of premium-efficiency motors' lower temperature rise. Cooler-running motors allow the motor's insulation to last longer, increasing motor life. For every 10 Degrees C decrease in the motor's operating temperature, its insulation system life doubles. Bearing and lubrication life also are increased. Because they run cooler and the electrical design uses more active material than other motors, premium-efficient motors are more tolerant of both low and high voltages. Remember that low voltages are likely to occur as utilities try to avoid blackouts by taking voltage reductions (brownouts). IEEE 841 motors and premium-efficient motors are rated for adjustable-speed use with an inverter that can provide significant energy savings. On a pump or fan application, the use of an inverter to adjust the motor speed might save more than 50 percent of the energy used for the same motor operated at full speed when the flow is controlled by a valve or damper. 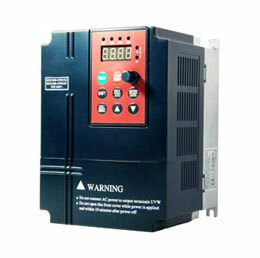 These motors are termed "inverter-ready" and are provided in either TEFC or ODP enclosures. Because internal motor losses are reduced, a smaller cooling fan can be specified. This fan provides quieter operation than that used on a standard motor. As motor load drops below 75 percent, the power factor falls off precipitously. Even with these advantages, there are a few factors to consider when applying premium efficient motors. To lower motor losses, the motor slip is reduced. A premium-efficient motor might run 1,790 revolutions per minute (rpm) full load, but an older motor might reach only 1,760 rpm. In a constant-torque application such as on a conveyor, this generally is not a problem. But on a variable-torque application such as a centrifugal pump or fan, the load increases by the cube of the speed increase. Therefore, a 1 percent increase in speed equals a 3 percent increase in load, drawing more current. You might want to consult the appropriate fan and pump curves when replacing motors on variable-torque applications. Many premium motors produce less starting torque than older motors. Although they are required to produce a minimum starting torque defined by NEMA, the older motors might produce much more than those minimum values. Therefore, a new motor might not start a load requiring high starting torque. Premium-efficient motors generally require higher starting currents than older motors. The high inrush current might cause nuisance trips on starters. You might need to change heaters and oversize IEC-type starters. The potential energy savings realized with premium-efficient motors makes a replacement analysis worthwhile. Any motor that operates continuously is a viable candidate. You should not focus strictly on high-horsepower motors, as they might already be the most efficient in the plant. By replacing many smaller motors (100 hp and below) you could see the best payback. System designers sometimes oversize a motor to provide a safety factor in an application. For example, if 200 hp is required, 250 hp will provide a safety factor and run cooler. This requires a more expensive initial motor purchase, as well as a larger motor starter. 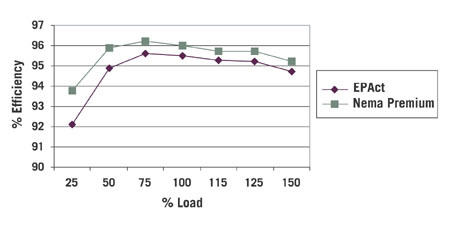 Operation of the motor at a slightly lighter load does not compromise efficiency, but the power factor is lower (Fig. 2 and 3). If the motor operates at 50 percent of full load, both power factor and efficiency drop off. For best performance and efficiency, motors should be sized for the load. Avoid continuous operation in the motor's service factor load range, which is meant to accommodate short-term overloads ," not continuous operation. If motors currently are using or might be candidates for VFDs, use of IEEE 841 or NEMA Premium efficient motors should be specified. Significant energy savings is realized from an VFD when the motor is driving a variable torque load and the motor is operated below its base speed. The VFD is throttled back to provide the exact amount of cooling air requirements. As the speed on a variable torque load is changed, the hp/kW requirements change by the cube of the speed change. 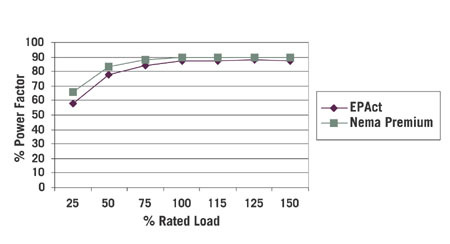 At 80 percent of base speed, the HP/kW requirements are reduced by the VFD to about 50 percent (see Fig. 4). 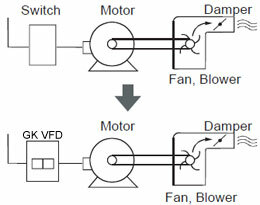 In a typical fan application using a damper or a pump using a valve for flow control, hp/kW requirements change very little as flow is reduced. Significant energy reductions now are possible because of the lower power requirements. Based on the operating profile, the added energy savings can be calculated. Most motor manufacturers and DOE offer software to assist with a motor survey. 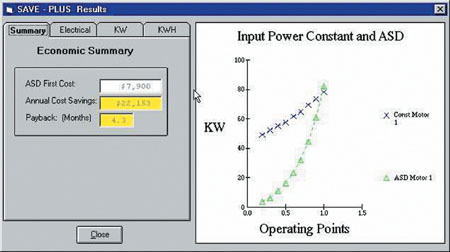 The software performs the math and calculates the payback. Ideas on how to reduce plant downtime by practicing sound motor management are available from "Motor Decisions Matter" By working with a motor manufacturer and specifying IEEE 841 motors with NEMA Premium efficiency levels, you can ensure the motors will provide good service with reduced downtime. Energy costs also will be reduced by variable frequency drives.